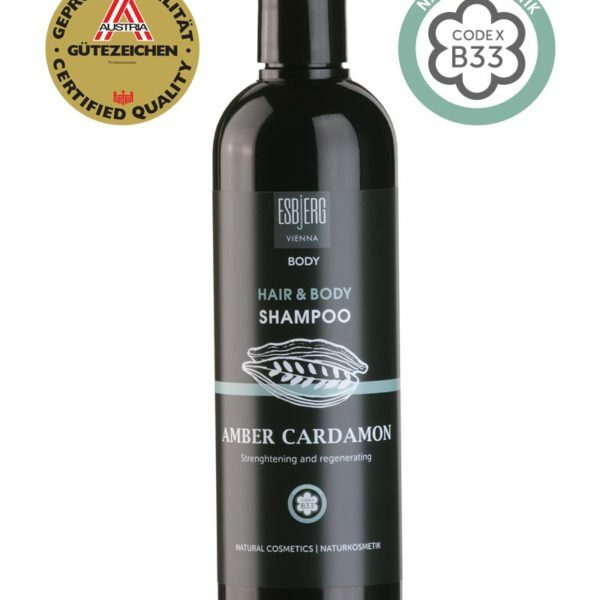 Time for a sensual break in the bathroom: Mixed with natural etherical oils, the intensely scenting body & hair shampoo for body and spirit in the composition amber cardamom strengthens and regenerates. 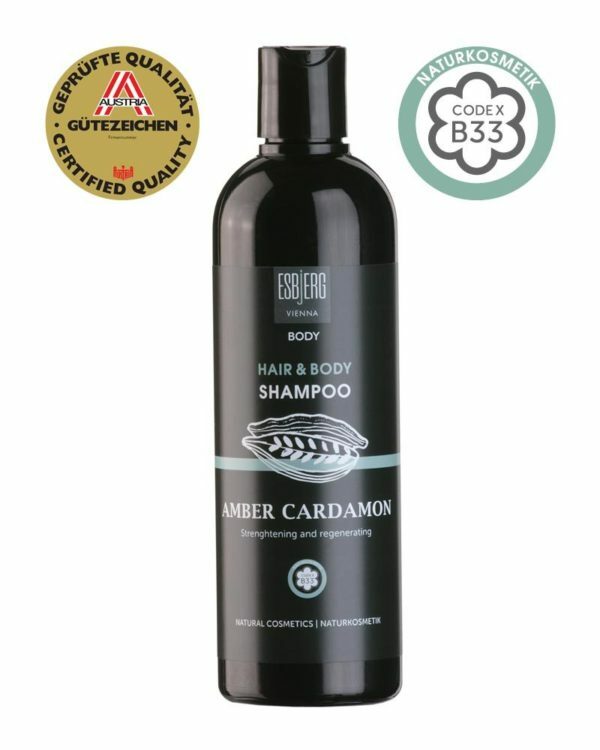 The vegan shampoo which is highly dosed with biological aloe vera essence lathers nicely, cleans thoroughly from head to toe and hydrates the entire body. Skin and hair are clean, smooth and ready for the next stage of care.